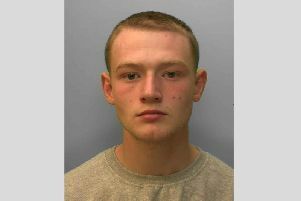 Shannon Layton, 21, of Mayhouse Road, Burgess Hill, pleaded guilty to being drunk and disorderly, and to assaulting a police officer, in London Road, Burgess Hill. She was given a six month conditional discharge, with a £20 victim services surcharge, and £85 costs. Toby Cracknell, 31, of The Close, Horley, was found guilty of five counts of breaching a non-molestation order by contacting a woman in Burgess Hill. He was given a community order with a seven day curfew, an £85 victim services surcharge, and £625 costs. Todd Mackenzie, 28, of Potters Lane, Burgess Hill, pleaded guilty to theft of two bottles of vodka (total value £36) and three bottles of whisky (total value £54) from Waitrose in Rustington, and to failing to answer bail, and admitted breaching the terms of a release from prison. He was jailed for 14 days, with a £115 victim services surcharge.